This is the summary of consumer reviews for Hunter 48-in Fanaway Brushed Chrome Ceiling Fan with Light Kit and Remote (Model: 21425). The BoolPool rating for this product is Very Good, with 4.20 stars, and the price range is . 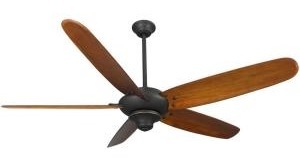 Hunter 21425 Fanaway 48-Inch ceiling fan is a sleek looking dual purpose fan. It features recyclable materials and an energy efficient design. The blades swing out automatically when fan is turned on with the aid of the centrifugal force and the blades automatically retract and conceal when switched off. It includes a handy remote for ease of use and low energy lighting when required. This innovative Hunter Fanaway is equipped with 4 clear retractable blades and functions both as a pendant light and a ceiling fan. It uses one included 40-watt CFL bulb with the Airflow that is 4,186 cfm with a 2-position mounting system i.e. downrod and angled. Users find the retractable blades and the ability of the unit to transform into a slim, modern pendant light very appealing. Some reviewers have pointed out that they would have preferred to replace the CFL bulb with a new and innovative dimmable LED light option. Users have also liked that the Hunter fan remote comes with independent controls for 3 fan speeds and light so you do not need special fan wiring just a regular light switch wiring to operate it. All-in-all the Hunter Fanaway 48-Inch ceiling fan is a popular fan because of its appearance and functionality. It can also serve as a great conversation piece. This fan is extremely quiet and the light fixture works comparatively better in smaller spaces. The Hunter 21425 Fanaway 48-Inch ceiling fan looks great and circulates air nicely all the while making very little noise. It's a nice clean look and really did a good job of cooling down the room. Perfect size, really cool looking and quiet as a breeze. this fan would look great in any room of the house.. I'm looking for a replacement bulb. Fan is quiet and works great. I put one in my newly remodeled home office/guest room/TV room and it goes great with my new black and silver floating shelves. It doesn't take away from the room decoration. I bought this fan to replace an old hampton bay fan, in my opinion this fan looks great, works well, but isn't designed for a high ceiling room, nor a huge bedroom, remember this: it's a small fan. I was pleased with this one so bought another in an all-white finish to better match the decor in another room. 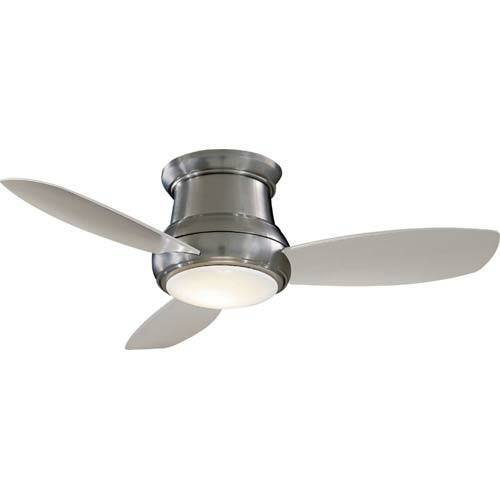 The fan is extremely quiet, and the light fixture is ok for a small room. Every feature worked by switch, but the remote control was unable to change fan speeds or turn off/on the light and fan. We're using a 2 wall switches to control light and fan motor separately now ( $ 200 to wire it like that each). This's the remote that comes with this fan . which is great (independent controls for 3 fan speeds and light) so you don't need special fan wiring just a regular light switch wiring will work. We'd to use the wall switch for off and on, but the wall switch doesn't change fan speeds. I was fine with using the wall switches for the light and the remote control for the fan, however it doesn\u2019t work that way. My husband said that this fixture had only one set of wires so that the fan wall switch would no longet work. With our old light/fan combo we used those 2 switches to turn the light on and off, and had a separate wall switch for the fan. So far seems to work well. Luckily I'd a spare receiver and remote after installing another ceiling fan with a rheostat wall switch and used it on the Fanaway. Its easy to use with the remote but installation requires extra hands. As far as installation, I'd it professionally installed so.... can't comment on that. Easy to install, need an extra hand to hold makes it easier. The only problem I'd was installing it. I'd this light installed in my new kitchen. After it was installed, the fluorescent light wouldn't stop flickering. Paid the 150 to get it installed and the light portion SHAKES really bad. Installation was straightforward after I figured out that I shouldn't use the separate fan circuit that I'd installed in all the bedrooms of my house. The directions are lacking especially for installing the remote. Fan is beautiful to look at, very quiet and works efficiently. Looks great, fits the space. Looked at several designer fans. The fan looks great, has perfect balance and installed in about 2 hours. It's elegant and very modern looking. I love the way it looks and it works like a charm. It was easy to install and it looks great. This fan looks great, provides excellent lighting and the fan is perfect. This's a nice looking fan. You can't hear it's working. With regard to finding replacement bulbs. Really, only Hunter sells the bulb, and hasn\u2019t had a bulb for three months. The replacement bulb is a little bit smaller than the original. We've since ordered two separate bulbs to replace the original, according to the instructions read on the product -which only says 'use 40W T5 circular lamp only"- and neither bulb has fit. You might want to stop selling this model until can provide replacement bulbs.. The bulb then fit pretty perfectly.". The bulb then fit pretty perfectly. It's impossible to find a replacement bulb, much less one at a warmer 3000 kelvin color temp. We searched everywhere locally and on line for a replacement bulb without success. Thanks to the reviews posted here I was able to find replacement light bulbs with a much softer light (40 Watt T5 Circline Fluorescent 2700K).